The final part of our tour around the world’s most beautiful beaches, and we’re exploring the Southern Hemisphere – taking to the islands of the South Pacific as well as Australia and New Zealand. Google ‘tropical beach’ or ‘paradise island’ and chances are you’ll be directed to one of the thousands of islands in the South Pacific. Here are 10 of our favourites. 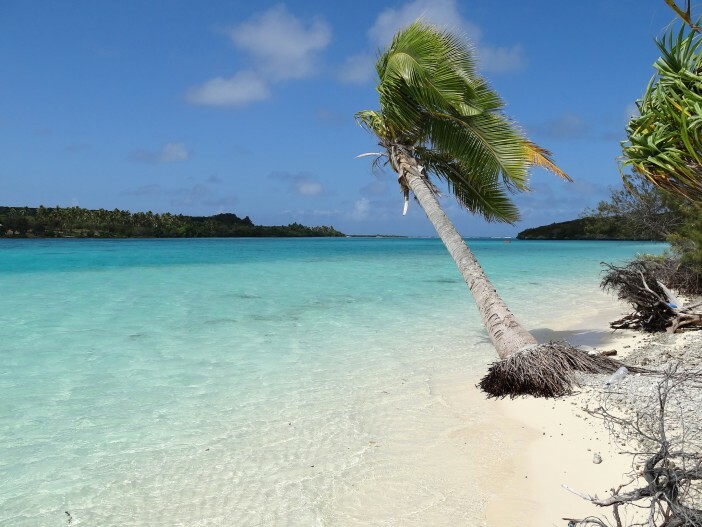 Barrier reefs, endless lagoons, azure waters and palm trees; the beaches of Aitutaki are heaven on Earth for those who love to plunge into the seas. The uninhabited island exudes exclusivity in every drop of water and grain of sand, and you’ll feel as though you’re on another planet when visiting. The Polynesian island of Bora Bora proudly boasts one of the world’s best-loved and most famous beaches resorts. 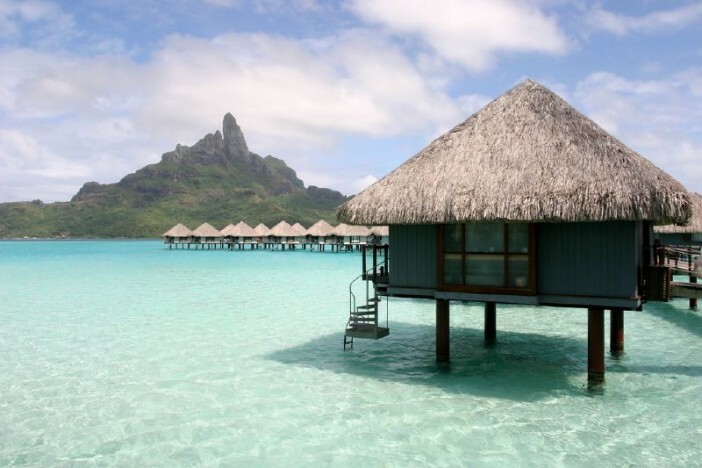 Renowned for the luxury villas balancing above the waters, Bora Bora has captivated visitors from all around the globe, enticed by the chance to dive in amongst coral and sealife right from their temporary front door. A crescent of powdery sand surrounding an azure lagoon has made Natadola Beach one of the world’s best-loved beaches. Like any self-respecting paradise location, the beach boasts coconuts hanging overhead as the sand flows into the dramatic cliff sides. 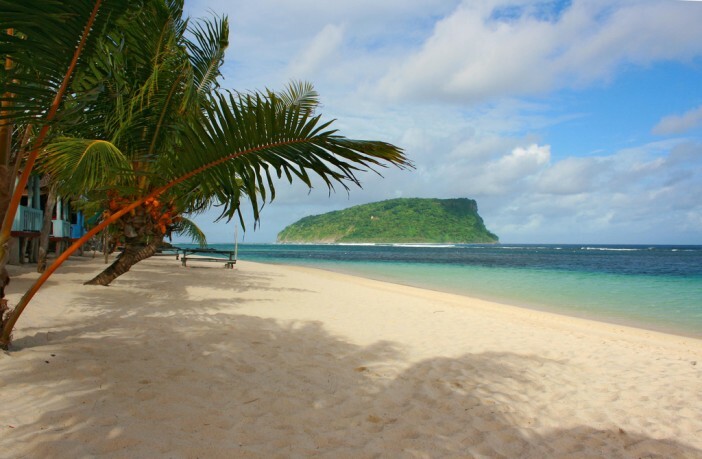 Set against a backdrop of waterfalls, rainforests and mountain ranges; Ouvea Beach is something of a natural phenomenon. 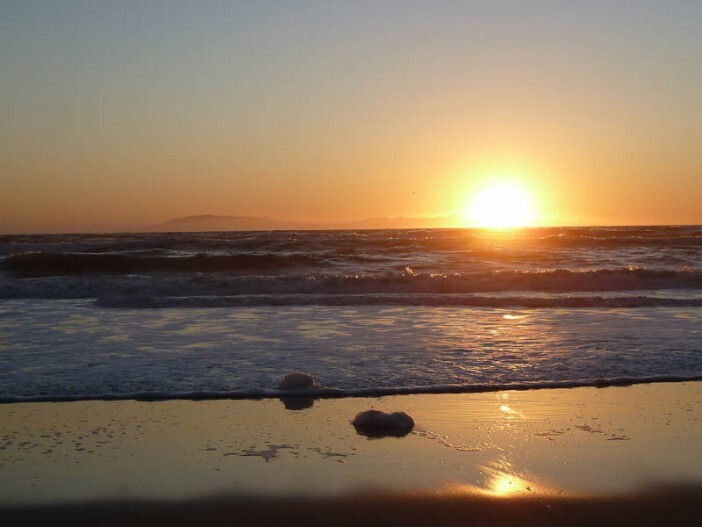 Largely unspoiled, untouched and uninhabited, the beach is a pure drift of white sand disturbed only by the gentle ripple of the Pacific. Alive and captivating the senses, the waters off the coast of Temae Plage Publique comprises dancing blues topped with rippling shapes of white and crystal. 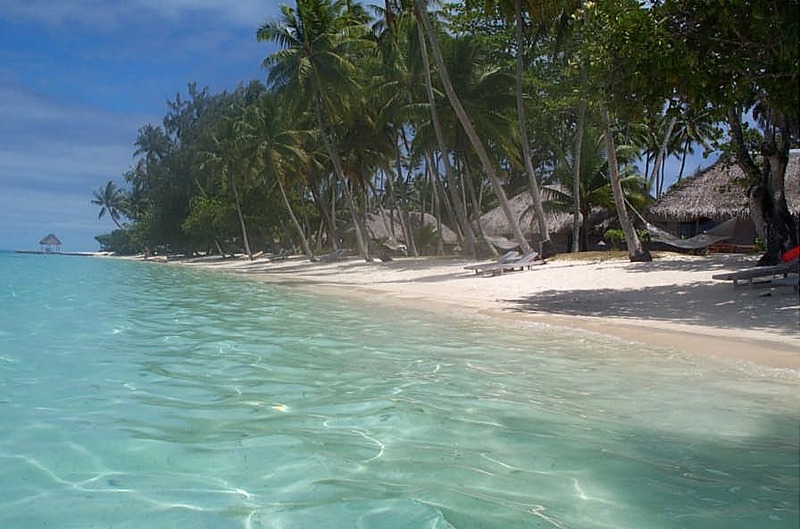 Located on the north-eastern coast of Moorea, the beach offers views across the speckled lagoon over to Tahiti. Dominated by the massive cliff-like mountains which provide the backdrop to the sandy offerings, Lalomanu Beach wears its surroundings like a protective shroud. This unique beach faces a series of islets – providing stunning views whichever way you face as you run fingers and toes through the deep, golden sands. Protected from the trade winds, the seas off Avea Beach provide a great sailing setting – making the beach perfect for a spot of yacht spotting. The tree-lined beach slopes into the sea, providing a swimming spot suitable for a dip whatever the tide. 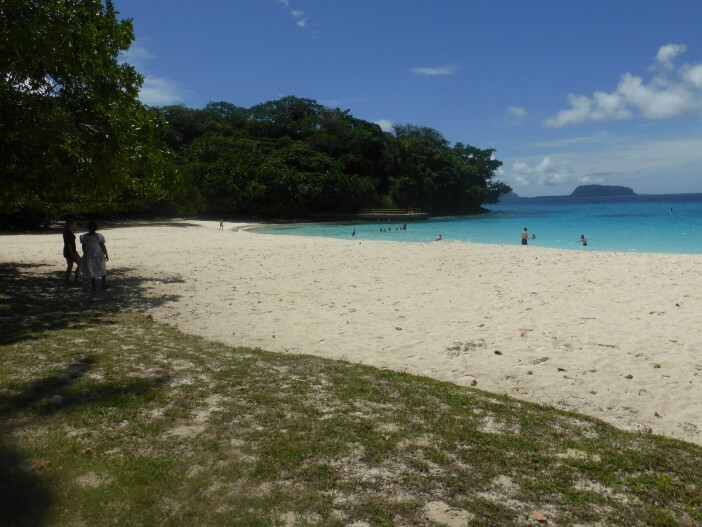 You’ve got a lot to live up with the name, Champagne Beach – and this stretch of sand in wonderful Vanuatu does not disappoint. 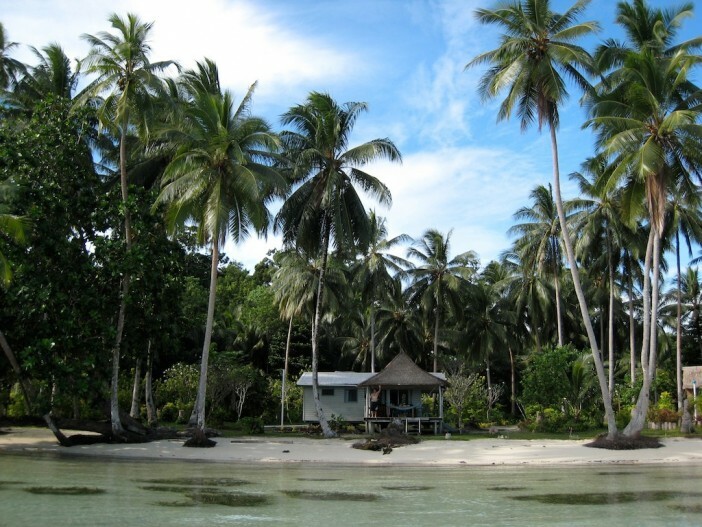 A short ferry ride is required to visit the beach, lending the retreat a secluded atmosphere alongside the crystal clear waters and creamy white sand. A small, sheltered, horse shoe beach; Garden Cove is a truly charming spot for a day’s sunbathing and snorkelling. Accessible via a short boat or kayak journey, we definitely recommend taking a picnic to this remote beach. With only a small amount of beach to talk of, we’ve perhaps been a little cheeky including this entry – but the beautiful blue lagoon and bountiful diving opportunities more than justify our decision. If you’ve got joint passions for history and snorkelling (some of you must do), there are plenty of sunken planes and ships from WWII to explore under the surface of the water. For a huge selection of great cruise deals around the South Pacific. Beach life is a major part of Australian culture, and neighbouring New Zealand isn’t too shabby on the surf front either – so choosing just a few beaches from this part of the world proved incredibly difficult. Completing the holy trinity of beaches with Bora Bora, and Copacabana; Bondi Beach demands its inclusion in this list. Although heavily populated, the beach is an experience everyone down under should enjoy at least once. The bright and beautiful of Sydney regularly congregate to Bondi Beach to flex their muscles and strut their stuff. Significantly different to Bondi Beach and Byron Bay; Mandalay Beach is visited by rather underwhelming numbers. But savvy travellers make that their gain, visiting this beautiful stretch of sand and sea for days of uninterrupted relaxation. The rugged backdrop of the beach makes it one of the most spectacular spots on the Rainbow Coast. Another beautifully named beach, Wineglass Beach derives its name from the striking curve of its coastline. The staggering greenery creates a stark contrast against the neat strip of sand, and the rich blue waters. If you’re planning a trip to Tasmania, it’s nigh-on impossible to avoid images of Wineglass Bay in advertising materials. 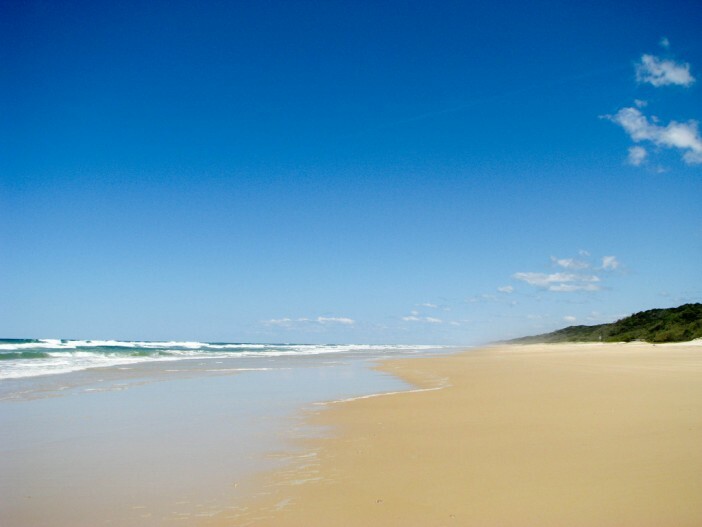 Fraser Island is pretty much all beach, earning it the title of the world’s largest sand island. And 75 Mile Beach needs to be seen to be believed – and you won’t struggle to find a spot to lay down your towel away from the crowds and spread out. Also, Fraser Island is one of the world’s last remaining habitats of dingoes, so it’s primed for paying homage to these dog-like creatures. A classic paradise beach, Noose Main Beach offers picture-perfect sands, pristine waters and waves which are intermittently perfect for swimming and for surfing. The north-facing direction of the beach means it is far more sheltered than some of its Aussie beach brethren, meaning the breeze is far calmer. “Postcard perfect” is just one description of Cable Beach used with alarming regularity – and the beauty of this part of Western Australia certainly justifies the superlative. A largely untouched stretch of land, the sand and sea is beautiful during the day – but it’s in the evening it really comes into its own. People travel for miles just to catch the beautiful sunsets which bless Cable Beach every night. Boasting unique coastal hot springs, Hot Water Beach is the only place in the world where visitors can dig holes in the sand at low tide, sit inside and enjoy the warming sensation of thermal heat through the sand. This alone makes Hot Water Beach an absolute must-visit during a tour of the world’s best beaches. 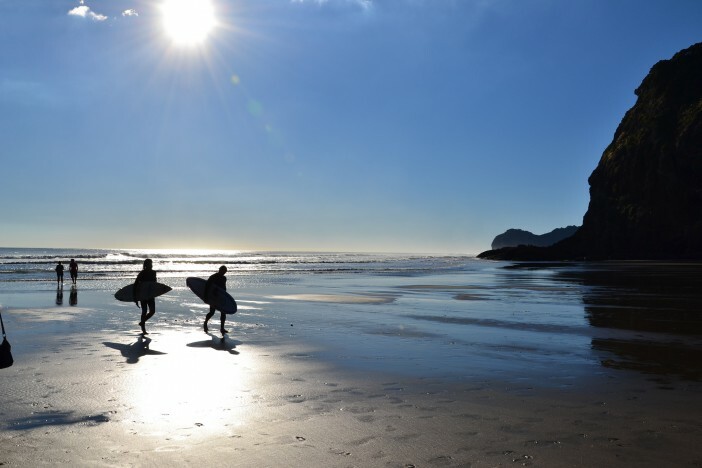 New Zealand’s home of surfing, Piha Beach is not built for sunbathing and swimming – but rather exploring and experiencing. The windswept beach is complemented by a rugged and wild backdrop, providing endless selfie opportunities against the moody backdrop. Whale Bay exhibits a hippy vibe all along the coastline, with a selection of organic food shops and restaurants complementing the laid back atmosphere. Backed by hills beset with native trees, nature is allowed to flourish in this environmentally-minded coastal community. 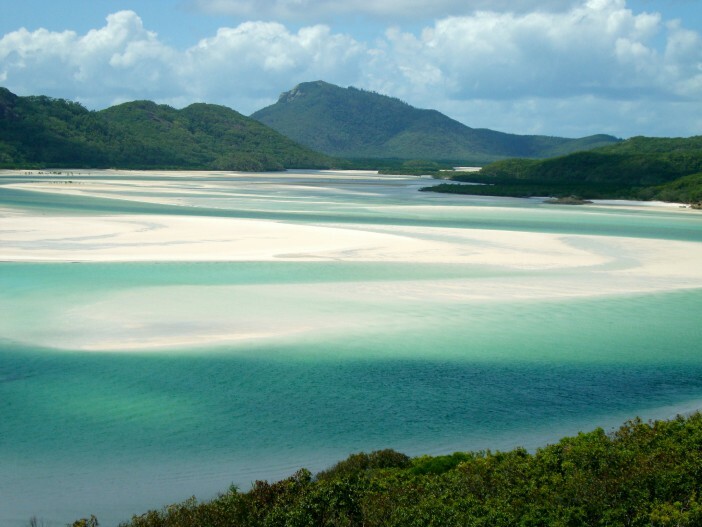 With a barrier surrounding the shoreline, and perfectly white sands providing the beach with its name, Whitehaven Beach could well be the most beautiful beach in the world. Blessed with silica sand (a very fine and high purity form of sand) it is never too hot underfoot, which is just as well – you’ll never want to leave this amazing part of the world. The unspoilt blue and white of the beach provides a truly jaw-dropping spectacle. For a huge selection of great cruise deals around Australia and New Zealand, click this link. Alternatively, you can give our friendly sales team a call on 0808 274 6777. 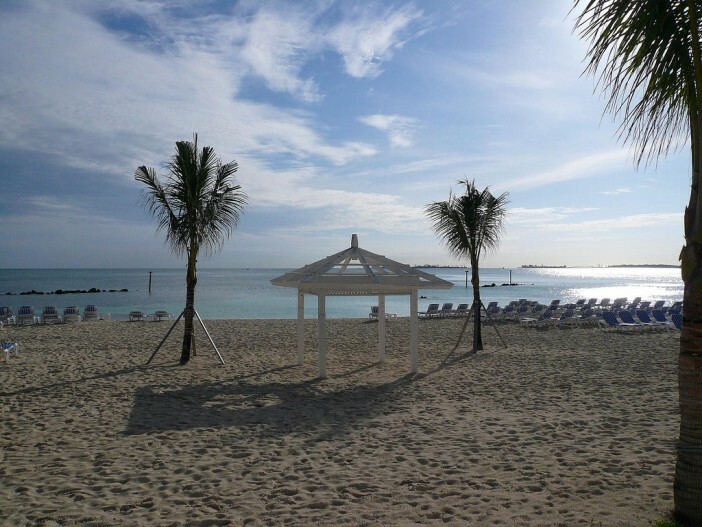 Part four of Cruise1st's exploration into the world's 80 most beautiful beaches.